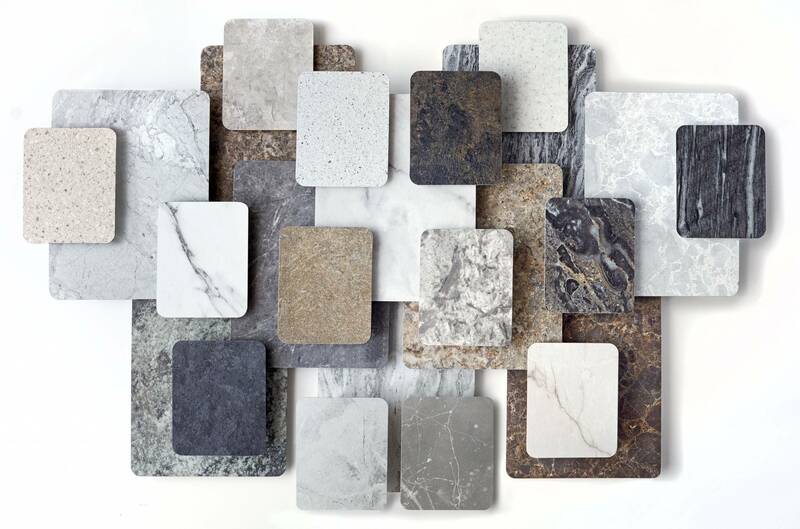 Panolam® Surface Systems, a leading supplier of integrated surface solutions today introduced the Lifestyle Collection, a specially curated selection of stone designs for residential environments. Lifestyle also features two new unique finishes that pair perfectly with this new collection offering each of the designs an authentic appearance of time-worn beauty: Evolution, a smooth surface with contrasting matte and gloss organic textures, and Natural Stone, a beautifully adaptable matte surface offering a time-worn appearance. For more than 70 years, Panolam Surface Systems has engineered and manufactured high-quality, innovative surfacing solutions for a wide range of contract, industrial and residential applications. With an extensive line of high-pressure laminates, thermally fused laminates, fiberglass reinforced laminates and other specialty products available in hundreds of colors and styles under the well-known Panolam, Nevamar, Pionite, Conolite, and other brand names. Panolam Surface Systems provides the vision, value and versatility designers, architects, manufacturers and contractors are looking for today. For more information, visit http://www.panolam.com. White Perito Marble — An elegant creamy vanilla marble with unstructured, patina gold veining indicative of ancient sculptures of antiquity. White Coralino Marble — The fluidity of its opaque white veining highlights this non-conforming aggregate signifying purposeful determination. Grigio Imperiale Marble — The meditative and neutral tones of this marble represent the calmness of life while the subtle impurities represent the continual adaptation to change. Spanish Marble — Like the shifting fault lines in the earth this neutral grey marble will evolve in traditional, modern and transitional environments. Azul Aran Granite — The mid-sized pepper flecks signify the volatility of a volcanic eruption yet balances the neutral tones to create a dynamic environment. Taupe Imperiale Marble — A sophisticated and poised marble defined by an array of variegated white veining that exemplifies its natural beauty. Brown Coralino Marble — An alluring chunky agate of rich mocha tones and soft golden veins signifying a varied stream of light from deep beneath our ancient oceans only to be revealed during continental shifts. Smokey Skies — This warm grey semi-precious stone is as precious as a trail of shooting stars dancing through the night sky carrying wishes for a better tomorrow.